Cloud computing is the newest and most cost-effective means of operating software available today. Essentially, systems and data are run (or hosted) on servers that reside in data centers (known generically as the ‘cloud’) run by dedicated teams of expert technical specialists. Applications and data are securely hosted and managed by a vendor in a data center that is accessible 24/7. Cloud data centers are set up in geologically stable areas with minimal threat of floods and other natural disasters. Upgrades, backups, security and all other maintenance and administrative tasks are performed by the vendor in a secure, state-of-the art facility.They are also redundant, meaning that a copy of the hosted application is maintained in 2 or more data centers. Your systems and data are always available and functioning when needed. Check out the Acumatica Cloud datasheet for a complete listing of all features. Every business is unique. As you grow, you need a flexible system. Play to your strengths by doing what works best for your company. Tailor your business management software to fit your exact needs, no matter how specific your requirements. Your information is where is should be, at your fingertips. Access your information anywhere, from any device, at any hour and in real time. Cloud ERP software provides application scalability and reduced hardware costs. Looking to avoid managing hardware, software and upgrades while still reducing up-front expenses? 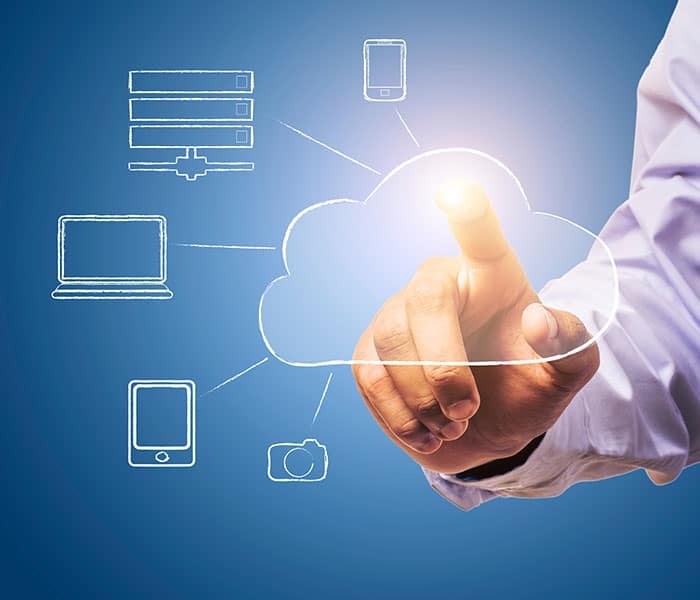 Cloud computing technology lets Acumatica deliver ERP through a “software as a service” (SaaS) model. Build an internal cloud to reduce ongoing hardware costs while maintaining greater control over integration. Acumatica cloud ERP software and cloud accounting software addresses the inflexibility of existing ERP solutions. 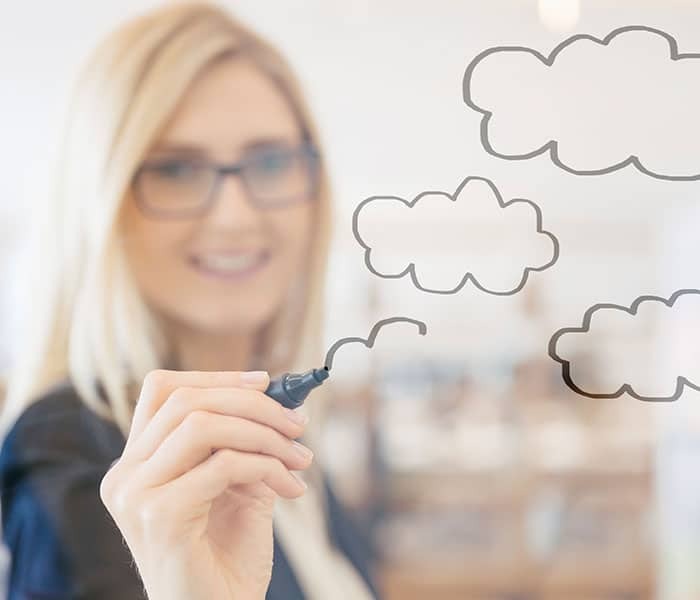 Cloud ERP is a flexible and cost-effective option for small and medium-sized businesses and offers extensive benefits for growth and expansion. The freedom to scale and grow lowers businesses’ total costs and flat-fee prices. High-level security and privacy, easy accessibility and integration releases you from the restraints of needing more IT support. What are the differences and benefits of the various cloud options? What should I always ask when considering an option? The 4 P’s of Business Transformation: Revolutionize Your Business for Less. Download a whitepaper offering businesses insight into just how they can go about developing their business ahead of the curve with Cloud ERP. 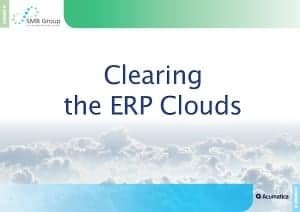 According to the industry experts at Mint Jutras, adopters of SaaS solutions like Acumatica Cloud ERP software have reported a host of operational and financial improvements. Download this free report to see how deploying Cloud ERP can help you better manage your growing business. How Much Does an ERP System Truly Cost? Subscribe to our newsletter to keep up-to-date on the latest Acumatica ERP news, trends, tips and tricks to optimize your business.